Our laboratory is interested in unraveling the mechanisms of membrane fusion when enveloped viruses such as influenza, HIV, or Ebola enter their respective host cells. To do so, we take combined structural, biophysical, and cell biological approaches. 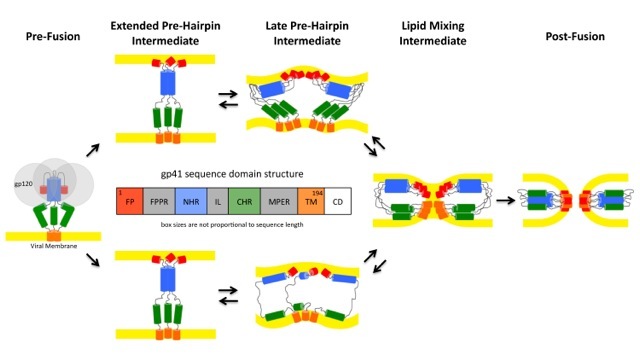 Ultimately we want to understand how triggered fusion proteins deform their own and the host cells’ membranes so that they merge into a single membrane and thereby deliver the viral genome into the cell. 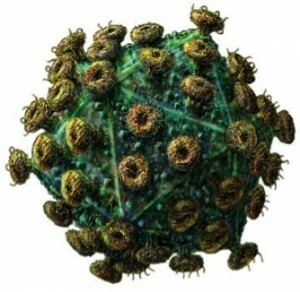 Understanding the fundamental biological underpinnings of this process will facilitate the discovery of new antiviral therapies. 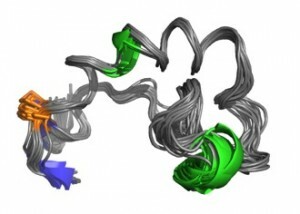 Although the structures of the soluble domains of many viral fusion proteins have been solved, the mechanism of membrane fusion is still poorly understood. 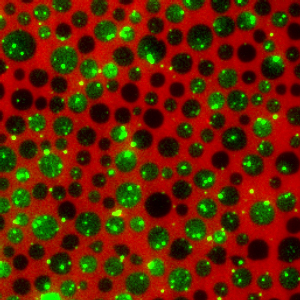 We are studying the structures and interactions of viral fusion proteins in lipid bilayers. 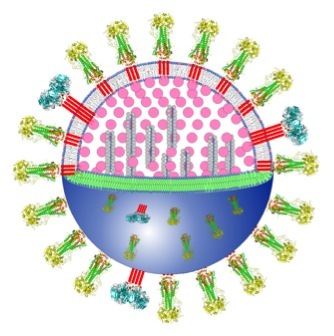 We have worked out a detailed “spring-loaded boomerang” model of how influenza HA interacts with viral and cellular membranes. We have determined by NMR and spin-label EPR spectroscopy, the structures of the influenza HA fusion domain in lipid bilayers at resting and fusion pH. We also studied many mutants which allowed us to establish structural features that are critical for proper function of these important viral protein domains. 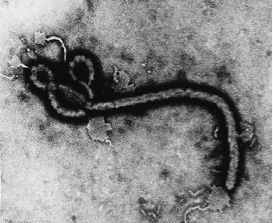 More recently we have engaged in similar studies with the fusion domain of HIV gp41 and, in collaboration with Judith White’s laboratory, with the internal loop fusion domain of Ebola virus GP2. We have also studied how HIV particles bind to and fuse at the boundaries between raft and non-raft regions of model and cellular membranes. We recently received a competitive multi-investigator research grant from the Human Frontier Science Program (HFSP) to study changes in the properties of influenza membrane envelopes when avian flu strains are transmitted from avian to human cell growth conditions. The other investigators in this consortium are Michael Veit (Free University of Berlin), Markus Wenk (National University of Singapore), and Kay Grünewald (University of Oxford). 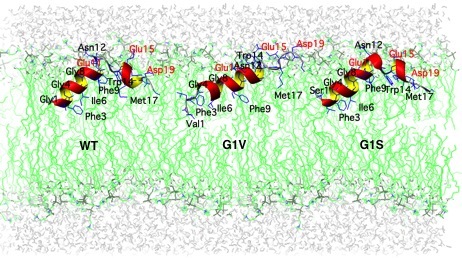 Structures of influenza virus fusion peptides in lipid membranes. Structure of Ebola virus fusion loop.